Hello Guys, We sharing some Images, Pictures, Photo of Aamir Khan upcoming movie Dangal. Dangal is a biographical sports drama film which is directed by Nitesh Tiwari. Aamir Khan is playing main lead role and other actor Sakshi Tanwar, Fatima Sana Shaikh, Sanya Malhotra are in supporting role. Aamir Khan is portraying the role of Mahavir Singh Phogat who taught wrestling to his daughters Babita Kumari and Geeta Phogat. Dangal is wrestling based movie. Dangal is going to release on 23 December 2016. This is the most awaiting Bollywood movie. Fans are eagerly waiting this movie. 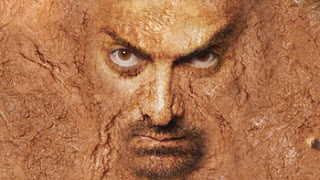 Here I have collected some Images, Wallpapers and Looks of Aamir Khan and also share the movie Poster.